Cannabis use in California has long been a political hot topic and is on the road to legalization despite opposition by federal law. Sonoma County in particular is in a period of dramatic transition in regards to policies toward cultivation and consumption of the plant. With the many shifts taking place, it helps to have a road map to better navigate the often confusing issue of legality. This article will serve to present the facts both past and present, possible future circumstances, and advice on how to safely invest in the commercial aspect of the plant. 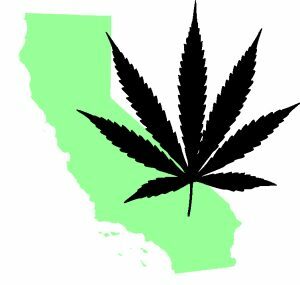 California’s involvement with marijuana began in 1996 with the Compassionate Use Act which allowed for medicinal use of the drug under prescription by a physician. Sonoma County took things a step further in 2006 by providing specifications as to possession and cultivation. Under Sonoma County Resolution No. 06-0846, individuals may acquire a two year cannabis permit allowing cultivation of 30 plants within a 100 square foot area; or possession of 3 pounds of processed marijuana per year. Not soon after, in March of 2007, Sonoma County enacted Ordinance No. 5715 defining specifications for two levels of dispensaries in C1, C2, and LC zoning districts. A Level 1 dispensary is considered so if it is under 1000 square feet, serves less than 300 patients and no more than 20 per day; a dispensary is considered level 2 if it is above these specifications. This ordinance also defined location requirements, operating codes, and building standards; a full description of these can be found via the following link under section II. Recently, January 1 of this year, the California State Legislature ratified the Medical Marijuana Regulation and Safety Act (MMRSA). This is in response to the more lenient federal policies toward prosecution for marijuana possession as well as the recent legalization of the drug in neighboring states. MMRSA establishes state policies for commercial cultivation of the crop ranging from 101 square feet to 1 acre. According to these new state regulations, all cultivated marijuana must be sent to a third party distributor and tracked from seed to sale in order to prevent contamination and sale on illicit markets. Quality control is also established for pesticide use, water use, and water quality during the production process. Finally, cultivators are now able to establish intellectual property and trademarks over their product; allowing for competition growth and brand name development. The recent ratification of MMRSA has prompted Sonoma County to respond by launching a Marijuana Land Use Regulation committee responsible for adjusting the counties land use to allow for cultivation of cannabis. The ordinance deadline has been set for December of 2016, within this timeline the Sonoma County Board of Supervisors hopes to adopt clear regulations for growing, manufacturing, and distributing medical marijuana through obtaining potential location inventory and engaging the community through public meetings. There is very little doubt about whether or not California will legalize recreational marijuana use; following suit with Colorado, Washington, Alaska, and Oregon. A ballot measure, Proposition 64, seeking to legalize recreational cannabis for those 21 and older has already been proposed for the November 8th CA General Election. Unlike the failed approval of Proposition 19 six years ago, Proposition 64 will have the benefit of the four states that have already legalized recreational use. The California populous as well as state legislatures have been able to observe the economic, legal, and socio-political effects of legalization. This has lead to a shift in public opinion over the last six years resulting in a 60 percent approval of marijuana legalization in the state as reported by the PPIC. Passage of Prop 64 will impose a 15% sales tax as well as a cultivation tax of $9.25/dry-ounce for flowers and $2.75/dry-ounce for leaves (Proposition 64: Section 7, part 14.5 sub-section 34010 and 34011). The tax revenue alone is estimated around $1.4 billion and the current medicinal marijuana market in California brings in $2.7 billion annually; legalization will only serve to dramatically increase the size of the industry. As with all multi-billion dollar industries, the investment possibilities are endless and extend far beyond cultivation and distribution of the product. Sonoma County sits in a unique position as the most populous county north of the bay area. Access to a highly educated work force, easy transportation via I-80 and Highway 101, and a cheap cost of living relative to neighboring bay area counties make Sonoma County a potential industry hub. It also offers a rich agricultural climate as demonstrated by its nearly $800 million annual crop report. Finally, it offers multiple industrial and retail zones where indoor cultivation and product vendors would flourish. William Severi, co-owner of North Bay Property Advisors, estimates an 80% decrease in industrial building supply north of Sonoma County. Needless to say, upon legalization of marijuana pending the passage of Proposition 64, investors will flock to Sonoma County to garner a part of the profit. Looking to Colorado as a case study shows the economic effect marijuana legalization will have in California; particularly Sonoma County. Significant increases in population and property demand followed Colorado’s ratification of Amendment 64. By law of supply and demand, when the demand for property increases while the supply remains the same, prices skyrocket. This is exactly what happened in Colorado for both industrial buildings and housing; the same is predicted to occur in Sonoma County. Santa Rosa, the largest city in Sonoma County, has shown its desire to take the lead in the legalization of commercial cultivation. On April 19th of 2016 a Santa Rosa ordinance was passed which allowed for legal commercial cultivation of marijuana under specific regulations and permitting. According to the new ordinance, cultivation is permitted in Light Industrial, General Industrial, and Limited Light Industrial zoning districts qualified with a minor (>10,000 sq. ft.) or major (<10,000 sq. ft.) use permit. Cultivation warehouses must also be at least 600 feet away from schools, meaning any institution grades K through 12 public or private. The response in Santa Rosa has been explosive; investors are scrambling to obtain ownership of qualified industrial buildings. On average Nick Abbott, co-owner of North Bay Property Advisors, receives 3 calls a week from people looking for potential cultivation buildings. 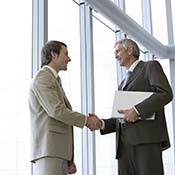 When investment opportunities such as this come along people naturally flock toward them. However, without proper knowledge and guidance it is all too easy to waste time, or worse, lose money. Before getting involved in this possible investment opportunity, be sure to contact an expert in order to garner more information and make a wise fiscal decision. To get in contact with one of your brokers at North Bay Property Advisors simply follow the link to our website at NorthBayProp.com and fill out the contact form; we will return your inquiry as soon as possible. For your convenience we have also included in this article a list of the state cultivator license types as specified by the proposed ballot measure, Proposition 64. Following the California general election, these license types will become a state road map for discovering potential industrial buildings which would function well as cultivation centers and what licensing level they would qualify under. (10) Type 4, or “nursery,” for cultivation of medical cannabis solely as a nursery. A Type 4 licensee may transport live immature plants to a licensed facility, subject to the tracking, security, and related requirements in accordance with Article 7 (commencing with Section 19334), Article 7.5 (commencing with Section 19335), and Article 8 (commencing with Section 19337). one acre, inclusive, of total canopy size on one premises. 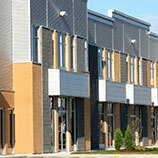 greater than 22, 000 square feet, inclusive, of total canopy size on one premises. 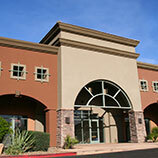 authority, greater than 22,000 square feet, inclusive, of total canopy size on one premises.